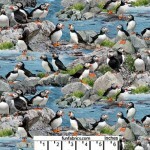 Atlantic Puffin Sea Shore Cotton Fabric for quilting, sewing, craft, and home decor projects. From E..
Fall Colors Oak Leaves Toss Cotton Fabric, Coordinate for North American Fox..
Forest Animals Toss Blue Fabric features deer, bears, foxes, wolves, raccoons and porcupines tossed ..
Forest Animals Toss White Fabric features deer, bears, foxes, wolves, raccoons and porcupines tossed..
Green Oak Leaves Toss Cotton Fabric, Coordinate for North American Fox..
Moose in the Meadow Cotton Fabric, This fabric is great for quilting, sewing, craft, and home decor ..
Moose in the Meadow Cotton Panel, This fabric is great for quilting, sewing, craft, and home decor p..
Red Fox Wood Frames Cotton Fabric.. 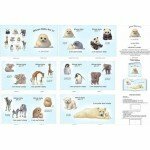 Seals and Sea Lions Packed Cotton may include Common Harbor Seals, California Sea Lions, Stellar's S..
Silver Shadow Wolves Snow Cotton Fabric from Springs Creative Silver Shadow collection. Fabric for q..
Sloth in the Trees Cotton Fabric, This fabric is great for quilting, sewing, craft, and home decor p..
Wild Animal Storybook panel, Seal, Panda, Koala, Giraffe, Penquin, Elephant, Zebra, Owl, and Polar B..
North American Wildlife Wild Bear in Fall Forest Cotton Fabric, Fabric from Elizabeth Studio's Ursus..
Wolf Packs in the Meadow Cotton Fabric from Elizabeth Studio's North American Wildlife collection. 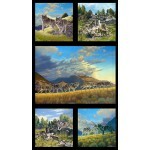 F..
Wolf Packs in the Meadow Cotton Fabric Panel from Elizabeth Studio's North American Wildlife collect..